Recently added to the Alberti portfolio available from Nikken are live tooling options for CNC Lathes and Multi-Axis machining centres. The extensive range offers numerous driven output and chucking choices for machine tools from Mori Seiki, Mazak, Okuma, Nakamura Tome, Haas, Sauter, Takisawa and the industry standard VDI DIN69880. Configurations available for all machine types include straight output, 90 degree output and universally adjustable output versions. All Alberti live tooling products adopt the design and construction technologies provided by their comprehensive range of standard products. 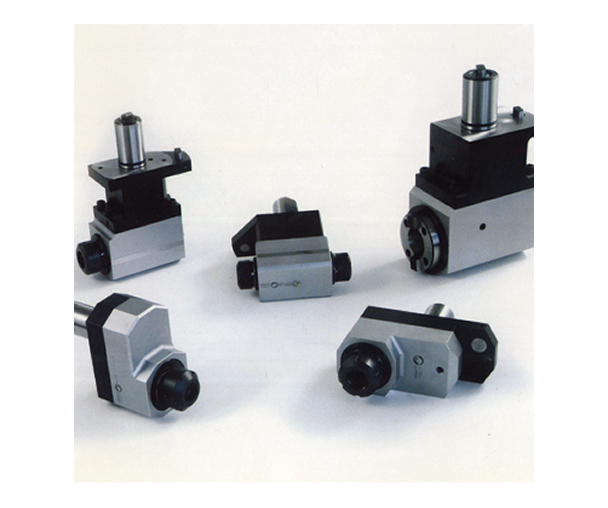 The .PDF catalogues for Sauter and Mazak options are available for download from this page. All other options are available on request. For further information on these and any of our other spindle optimisation products please call the Euro Centre.